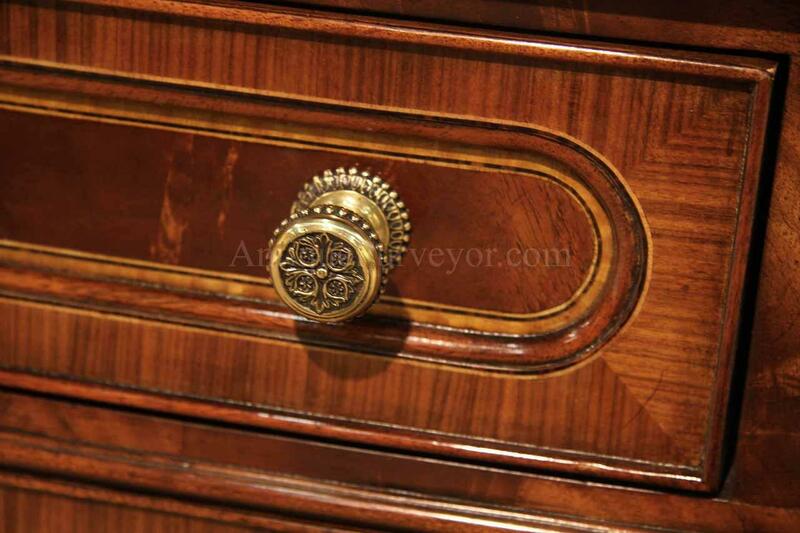 Crisp round molding, pin-striping and fine brass pulls. A true period piece would have candlestick holders on these outside decorative corners. 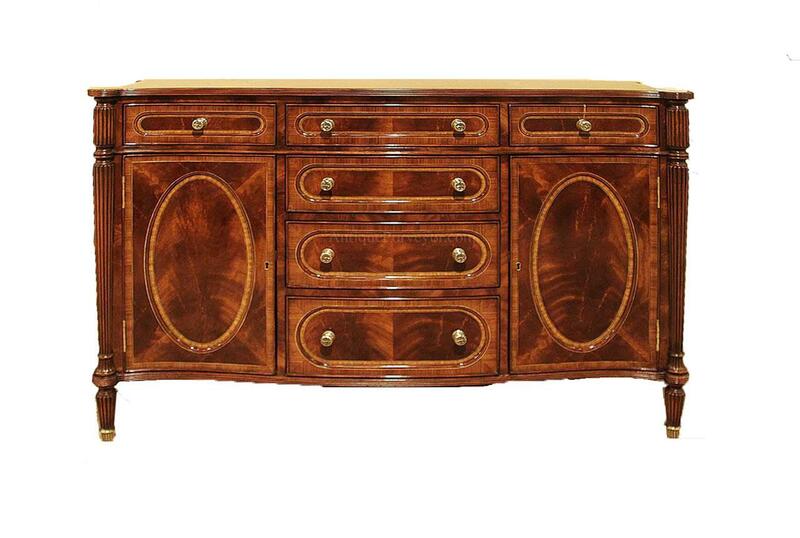 Description: Small high end heirloom quality inlaid antique reproduction mahogany sideboard or buffet. A small but extremely detailed buffet cabinet for smaller spaces. This cabinet is very heavy and dense. You can appreciate the quality of this cabinet by looking carefuly at our pictures, but in person you'll be even more impressed. 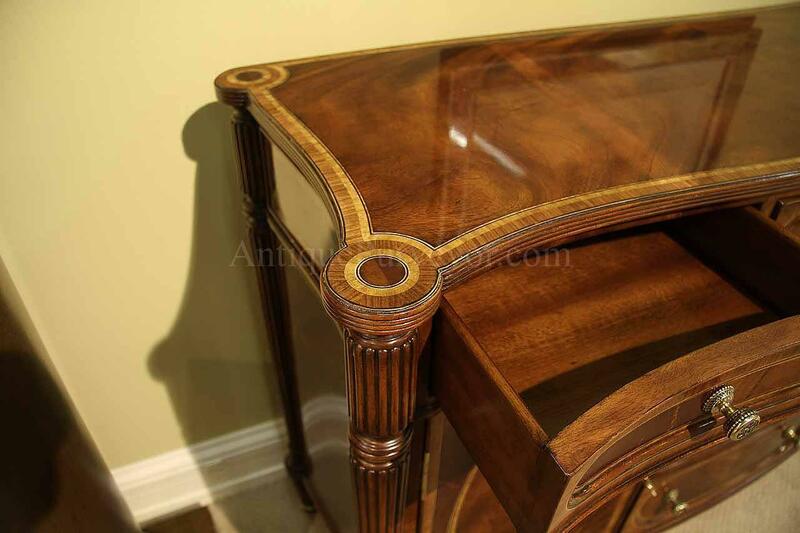 The finish is smooth to the touch with buttery warm brown mahogany color and it will coordinate with any traditional mahogany furniture. 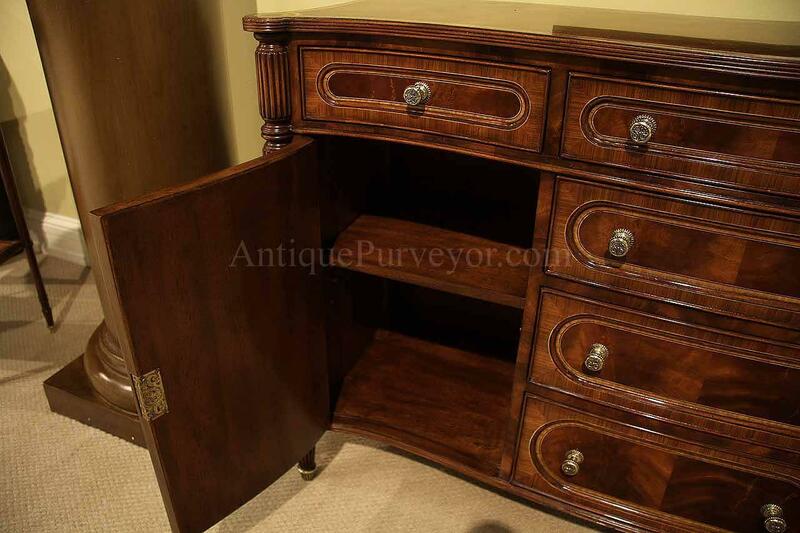 You can also use this as a small credenza for a high end traditional library or home office. 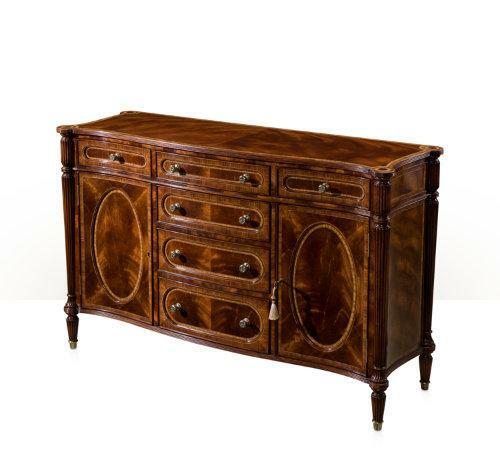 This mahogany sideboard buffet cabinet is loaded with craftmanship. 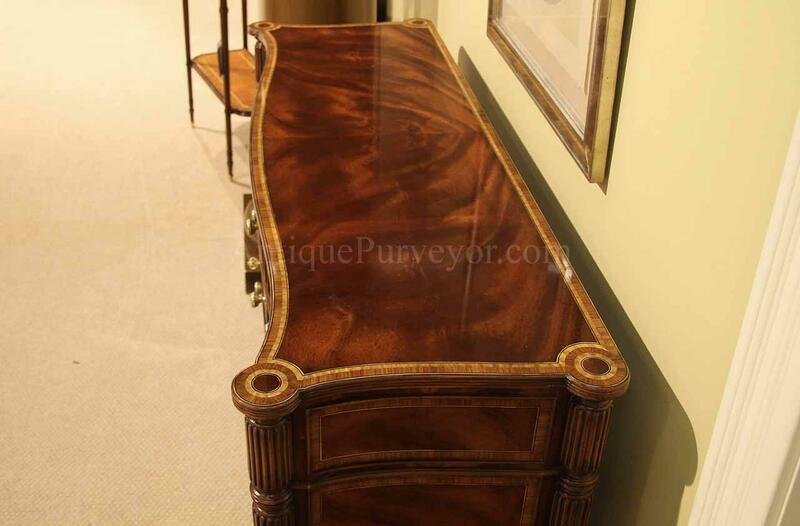 Each drawer and door is serpentine shaped and built with recessed panels and fine trim. 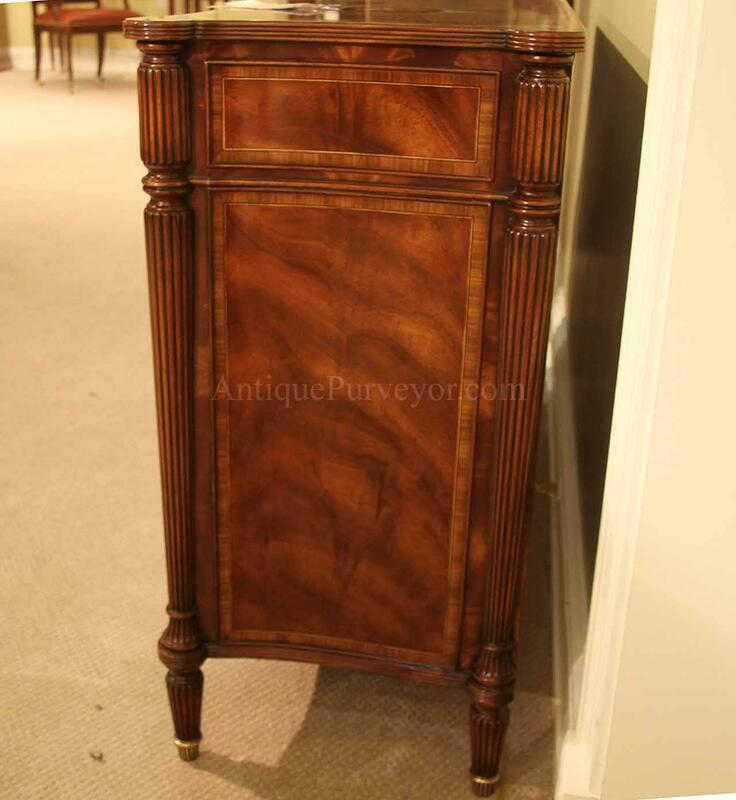 This cabinet also has a serpentine reeded edge decorated with swirl mahogany, satinwood and rosewood cross bandings and black/white pin striping. 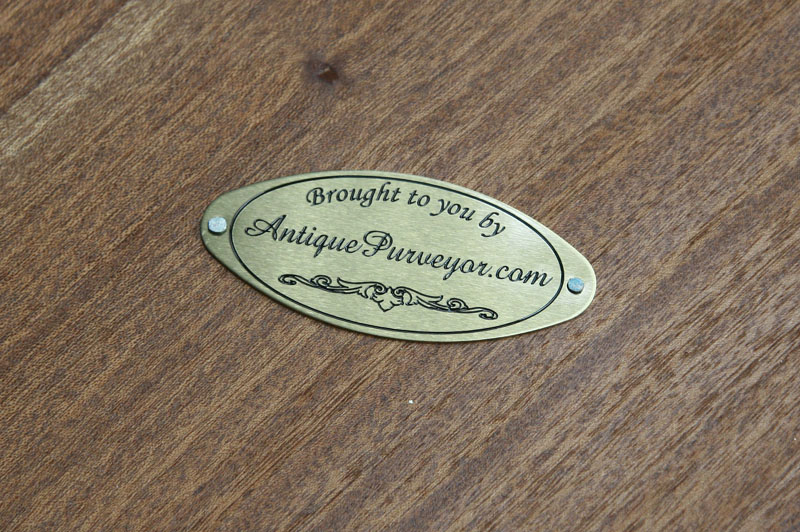 Fine cast brass drawer and door pulls. 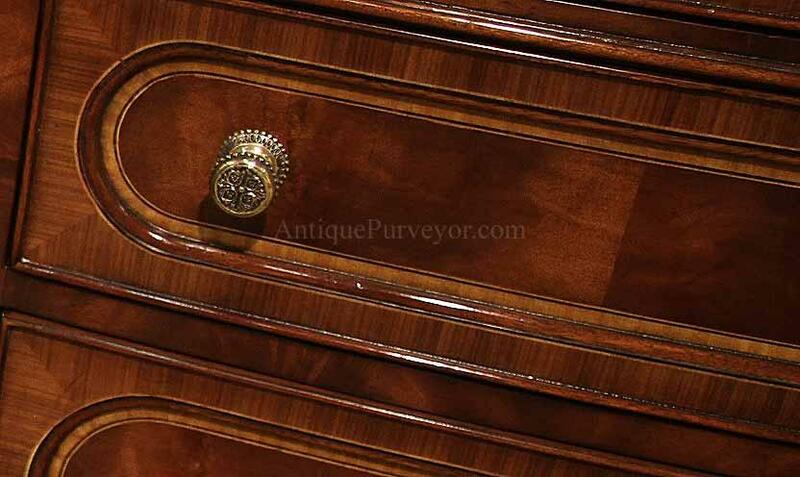 True recessed oval paneled doors built like a real period piece. Cabinet has two opening doors, three graduated drawers under a set of three drawers along the top. 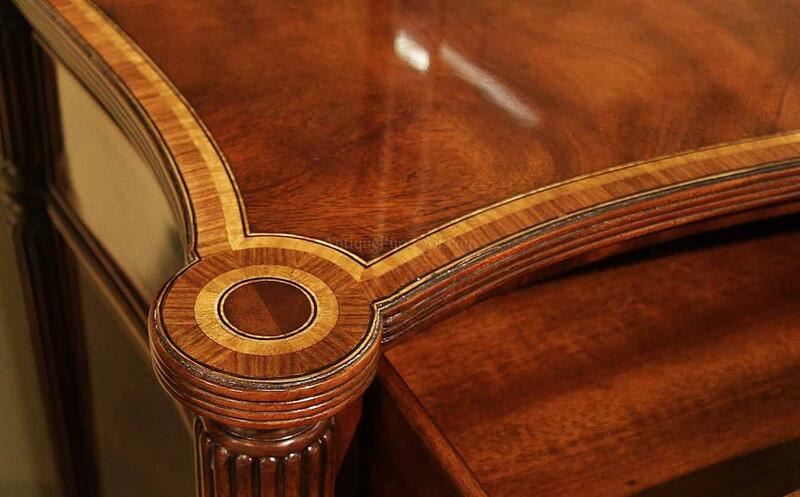 Awesome detailed cabinet for folks who really appreciate fine furniture and cabinetry. Georgian III shield back dining chairs. Fully upholstered seats.